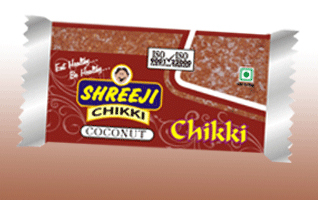 Coconut Chips Chikki is very light to eat and can be served as a sweet. 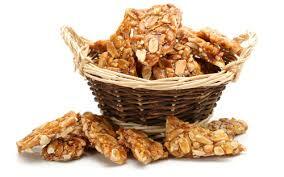 Coconut, Jaggery, Sugar, Liquid Glucose, Contains Added Flavors. corrugated box with color indications.